James often played a convincing southerner but loved working on the stage in New York during the prime of his career. One of his first significant roles playing a southerner was as a cigar-chomping, prison floor-walker in the 1967 classic Cool Hand Luke. His long list of roles also includes swaggering, tobacco-spitting Louisiana Sheriff J.W. Pepper in the Bond films. 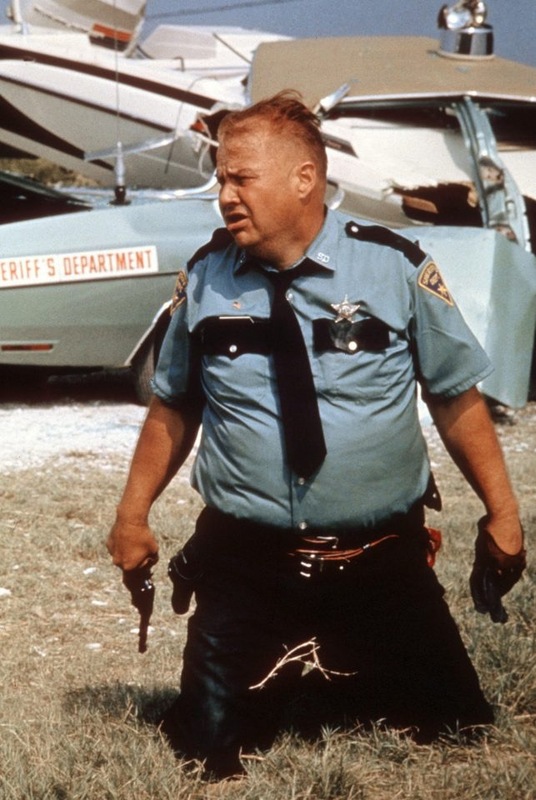 His portrayal of the redneck sheriff in Live and Let Die in 1973 more than held its own with sophisticated English actor Roger Moore’s portrayal of Bond. James was such a hit that writers carved a role for him in the next Bond film, The Man with the Golden Gun, in 1974. James, this time playing the same sheriff on vacation in Thailand and the epitome of the ugly American abroad, gets pushed into the water by a baby elephant. «He wasn’t supposed to actually go in,» said his daughter. «They gave him sugar in his pocket to feed the elephant. But he wasn’t giving it to the elephant fast enough.» She said her father met with real southern sheriffs to prepare for his role as Pepper. Of his hundreds of roles, it was the Louisiana sheriff that people most often recognized and approached him about. His daughter noted that her father sometimes said actors get remembered for one particular role out of hundreds. «His is the sheriff’s, but he said he would have never picked that one,» she said. George Clifton James was born May 29, 1920, in Spokane, Washington, the oldest of five siblings and the only boy. The family lost all its money at the start of the Great Depression and moved to Gladstone, just outside Portland, Oregon, where James’ maternal grandparents lived. Lynn James said one of the Purple Hearts came when a bullet pierced his helmet and zipped around the inside to come out and split his nose. The second Purple Heart, she said, came from shrapnel that knocked out many of his teeth. She said her father rarely spoke about the war and never described events leading to his receiving the Silver Star. «He lost too many friends,» she said. James’ wife, Laurie, died in 2015. He is survived by two sisters, five children, 14 grandchildren and four great grandchildren. Lynn James said a celebration of her father’s life will be held in Gladstone in August, but there are no other plans so far. She said some of his ashes will likely be spread in the Clackamas River in Oregon, in which he swam as a boy, and in New York Harbor, where some of his wife’s ashes were spread. Previous Post Jeffrey Wright is back!